This post has been sponsored by BitLoop. I’m using a MacBook Pro as my daily driver, and like I’ve said multiple times, I’m really happy with it. It’s a 2017 13-inch Non-Touch Bar model, which means I only get two USB-C ports, and also that I endure ‘dongle-life’ taunts at least once a day. A lot of times someone from the video team will come up to me and hand me a USB drive with a rendered video clip only to have me rummaging in my bag for a USB-C to USB-A dongle. If it turns out to be an SD card, I have to go to the video team and grab a dongle from them and use that. So far I’ve not invested in a dongle purely because they didn’t seem to bring everything I desire in a dongle, or because they were priced way too high. That’s where the BitLoop USB-C hub came to my attention. Being in the industry that I’m in, I have had the opportunity to try out more dongles than I would’ve thought possible, but the BitLoop USB-C hub captured my attention far better than any of the other dongles had. 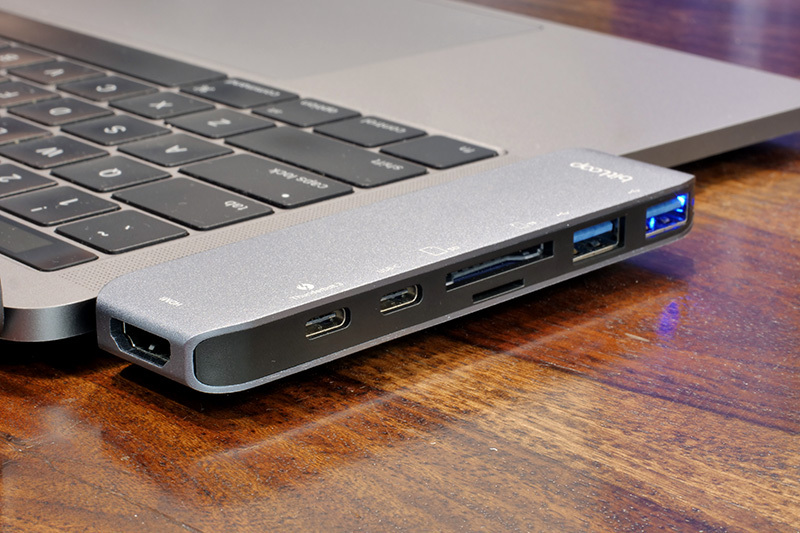 There are certain things of note here; firstly, the Thunderbolt 3 port on the dongle supports pass through charging which means you’ll not need to disconnect the dongle if you need to charge your MacBook. The HDMI port on the dongle supports 4K output making good use of the Thunderbolt 3 bandwidth the MacBook Pro affords, and since there are 2x USB 3.0 ports, you basically have more ports on this dongle than you would on a 2015 MacBook Pro, so that’s pretty awesome, and both the USB 3.0 ports are high speed so data transfer is a non-issue. One thing you may notice is that the connectors stick out a bit if you’re using the hub on a MacBook Pro without any case on it. However, this is done intentionally to accommodate for laptop cases, so you can use the hub even if you have a case on your MacBook Pro. This simply converts your USB-C port into a USB 3.0 Type-A port and throws in a headphone jack as well. It’s available for Rs. 1,599 on Amazon, and personally I feel like that makes this dongle a great affordable and price effective option in case your laptop’s headphone jack doesn’t work all that well. It even works with Android smartphones that have USB-C, so it can be handy if you have an Android smartphone with no headphone jack. 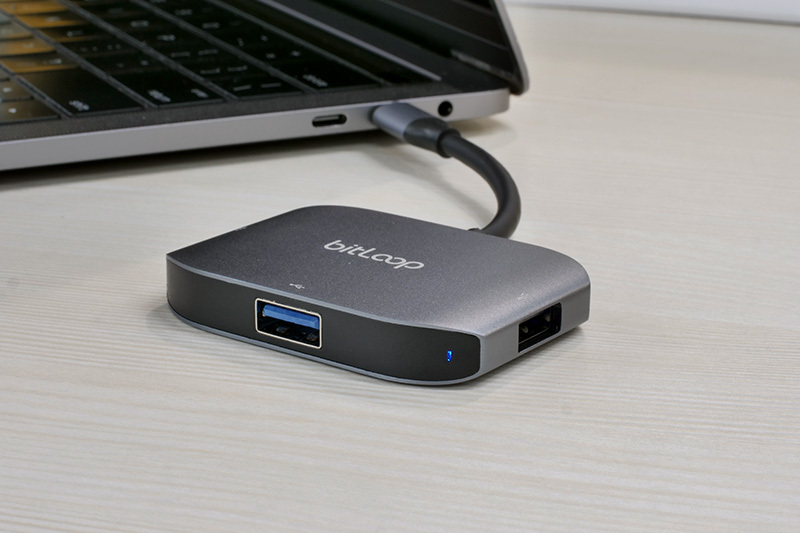 This USB-C hub can convert one of the USB-C ports on your laptop to a USB-C with Power Delivery, HDMI out with support for 4K output at 30Hz, and a USB 3.0 Type-A port. It’s available on Amazon for Rs. 5,499. This is great for photographers and media professionals… basically people who deal with SD cards often. It brings in an SD card reader, a microSD card reader, and two USB 2.0 Type-A ports for a price of Rs. 2,199. 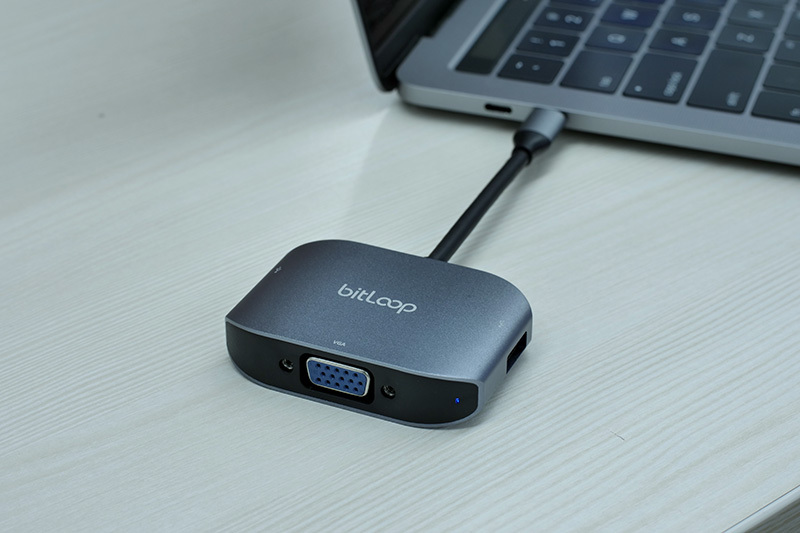 If you need to connect your laptop to a projector, or a legacy monitory with a VGA cable, this dongle brings in a VGA port, a USB 2.0 Type-A port, and a USB 3.0 Type-A port for Rs.2,999. 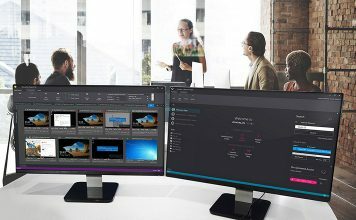 This USB-C dongle brings an HDMI port with support for 4K at 30Hz output, a USB 3.0 Type-A port, and a USB 2.0 Type-A port into the mix. It’s available on Amazon for just Rs. 3,999. This one is for times when you absolutely need to connect an ethernet cable to your laptop. 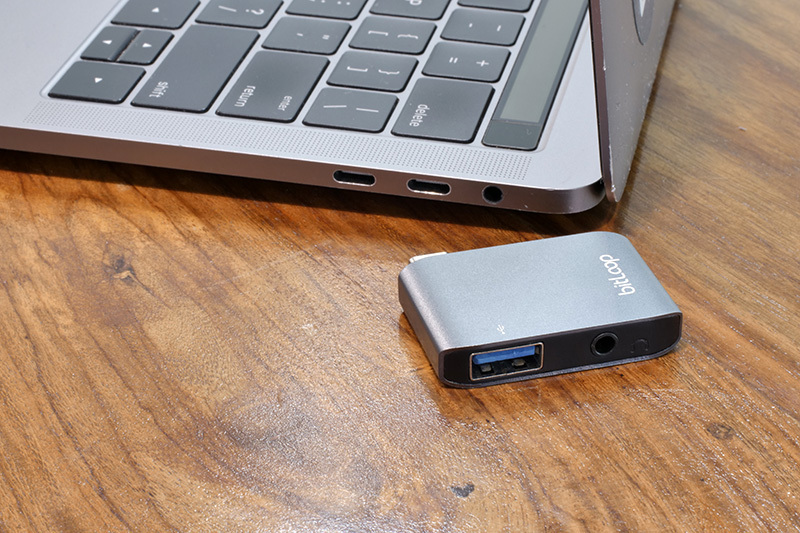 The dongle brings in a Gigabit ethernet port along with a USB-C port that supports charging. It’s available on Amazon for Rs. 4,599. 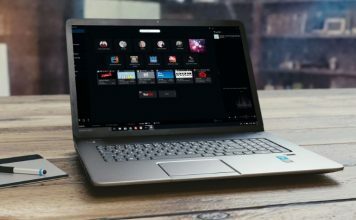 This dongle is great if you need to connect multiple USB devices to your laptop, it brings in two USB 2.0 Type-A ports and a USB 3.0 Type-A port. It’s available for Rs. 1,599. 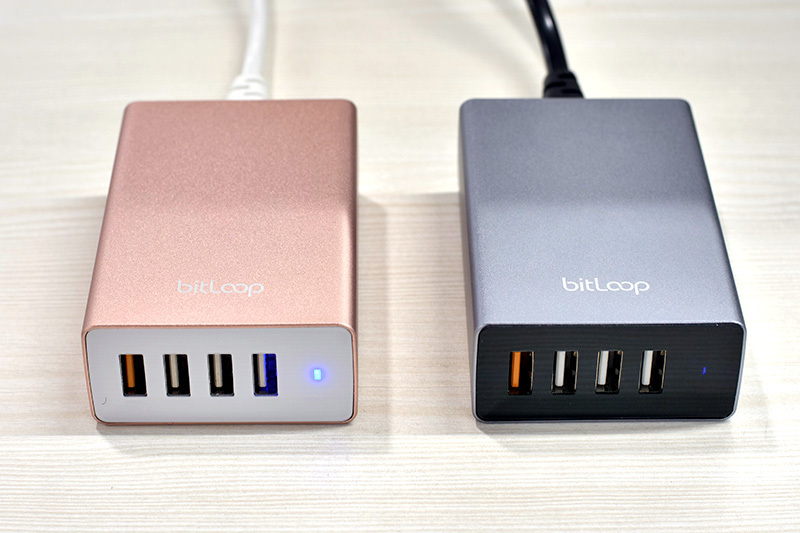 Other than all these USB-C accessories, BitLoop also makes really great charging hubs. There’s a 4 Port USB charger that you can get from Amazon for Rs. 3,699. It brings in four USB charging ports. There’s a single port that supports Quick Charge 3.0 charging, while the other three will charge your devices at 2.4A. It comes in rose gold and space gray colors and is available on Amazon. 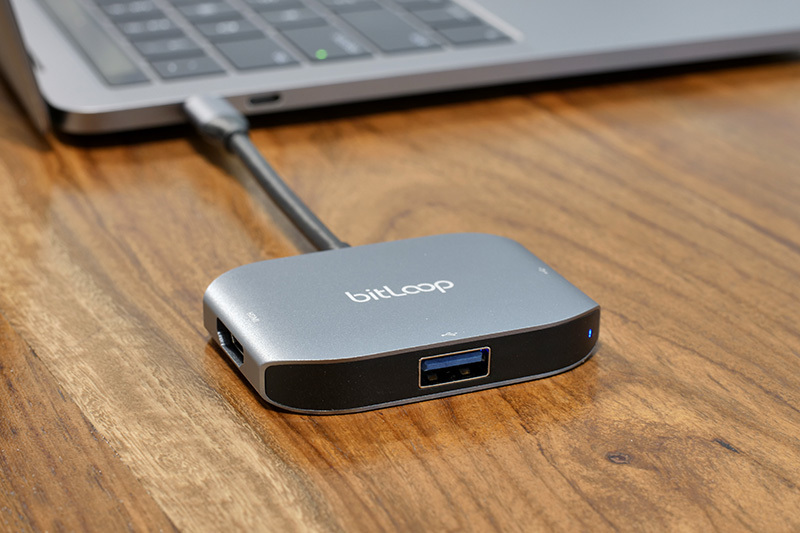 So, if you’re looking for a great USB-C hub for your MacBook Pro, or just about any USB-C dongle for the MacBook Pro, BitLoop’s offerings come in a number of different configurations and you should find a suitable dongle for your needs. 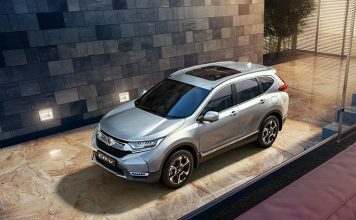 Plus all of these accessories are built out of aluminium which not only looks good, but adds quite a bit of strength to their construction. 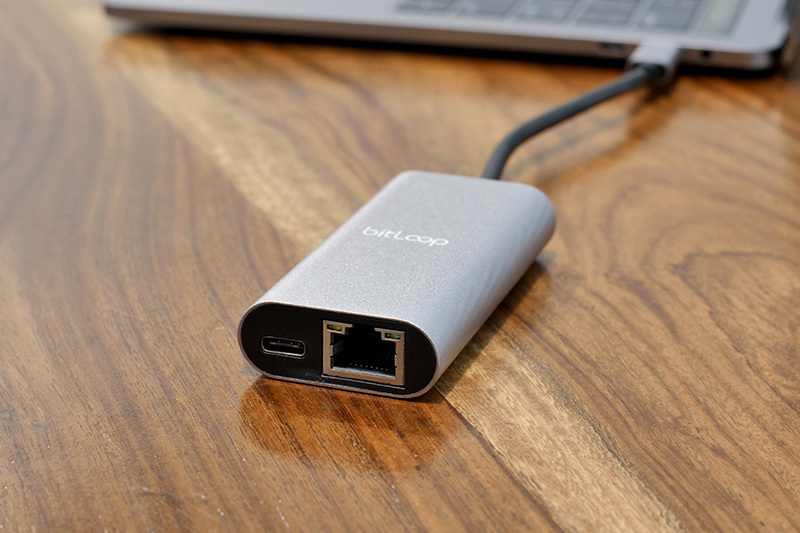 These dongles work with most Mac, Windows, and Linux systems, and BitLoop even gets them tested by a third party agency to make sure they are completely safe. 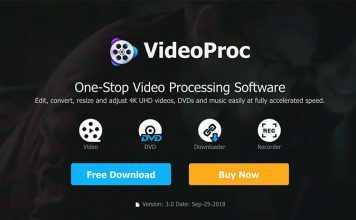 If you’re still paranoid though, you’ll be glad to know that BitLoop offers a 12 month warranty on all their products. 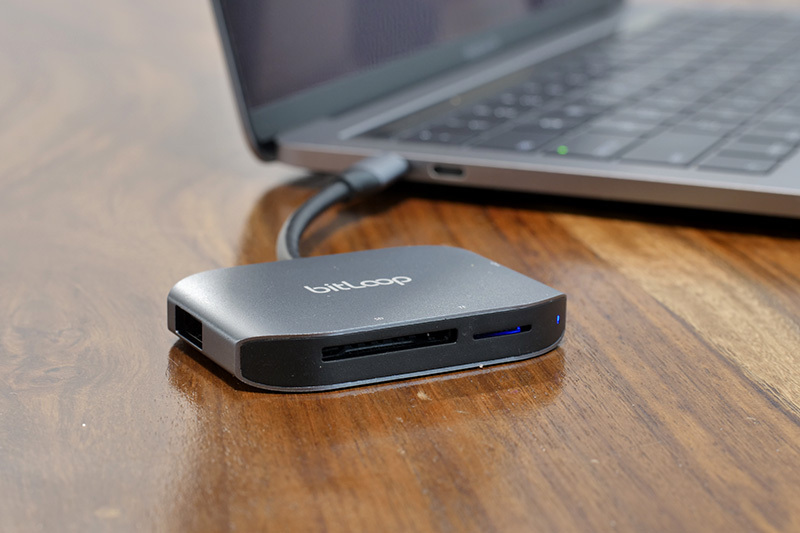 If you’re planning on buying a BitLoop dongle for your laptop, we have some pretty cool exclusive offers you can use. 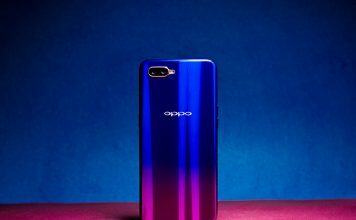 You can use the code BBOMSALE to get a flat Rs. 2,050 off on the MacBook Pro Hub bringing the price down to Rs. 4,449. Note: The promo codes are only valid on Amazon.in. 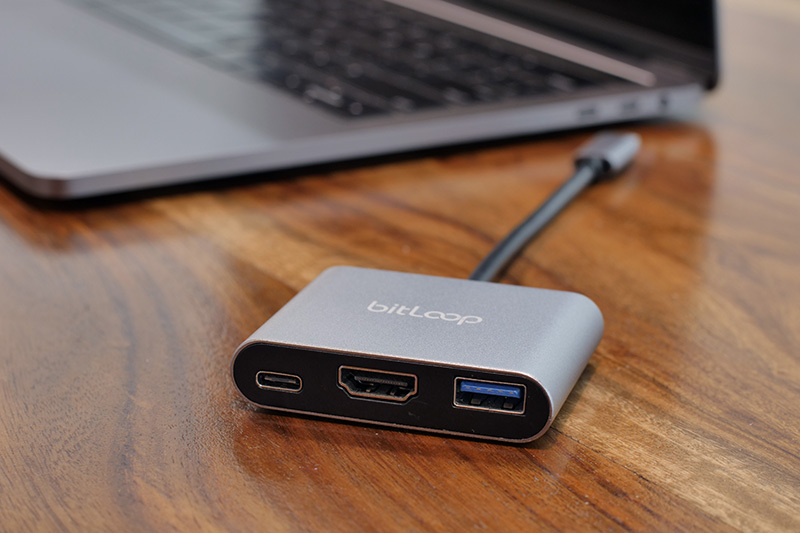 BitLoop accessories are available on the BitLoop website, Amazon, Flipkart, and PayTM Mall, so go check them out right now to get some incredible USB-C dongles for your laptop.